Gracilis is quite a thin and long muscle which run inside the thigh muscles. There are three more muscles in the same area, but the gracilis muscles are quite important for the hip joint. It is important to workout the muscles on a regular basis which helps in improving the circulation and builds flexibility and mobility in the muscles. 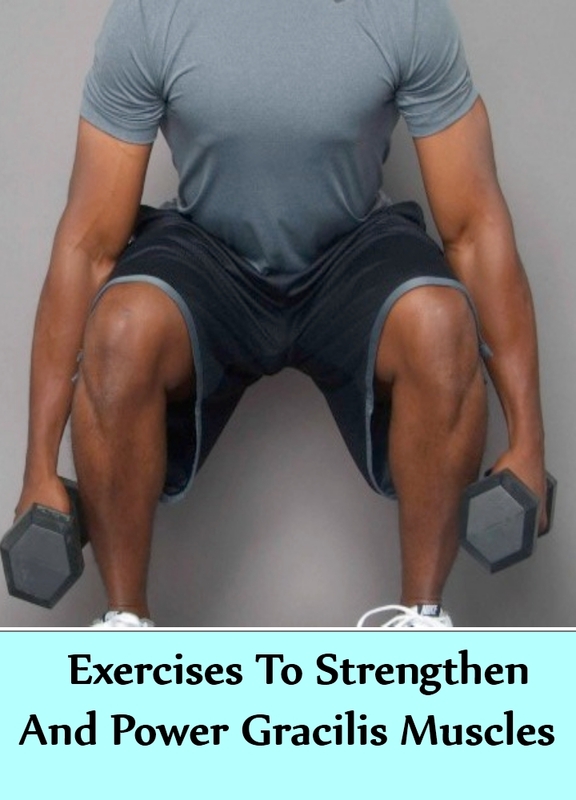 There are many exercises which help in building power and strengthening the muscles. You need to regularly workout the muscles so that they are healthy and quite strong. Sportsmen need to workout these muscles to build agility and flexibility. You need to include these workouts at least three times in a way to power your muscles. This exercise is quite similar to any side lying raise. You can also slowly lift your lower leg and not the upper leg. Start the workout by lying down comfortably on your right and on the floor. You will be resting your head on the right arm. Your legs shall be making a straight line. Your right leg will be in front of left. Keep your feet rested on floor as you start. You will again slowly and steadily, lift the right leg at least three inches from the floor. You will feel as if your hips are tilting. You can slowly lower your leg. Keep repeating this raising and lowering at least 10 times. You can switch sides. Keep your abs engaged and your body stable. This is an effective exercise which helps to target gracilis muscles and builds strength and power. You need to stand comfortably, as you keep your feet at least 6 inches apart. Keep your toes a bit pointed and forward. Your hands shall be a little behind. Now, slowly move up your left foot. You will pull your knees closer to the chest. You can again kick the knees sideways till the thigh is parallel to the floor. Let your torso, tilt a little bit in the opposite. Stay in this position for a few seconds. 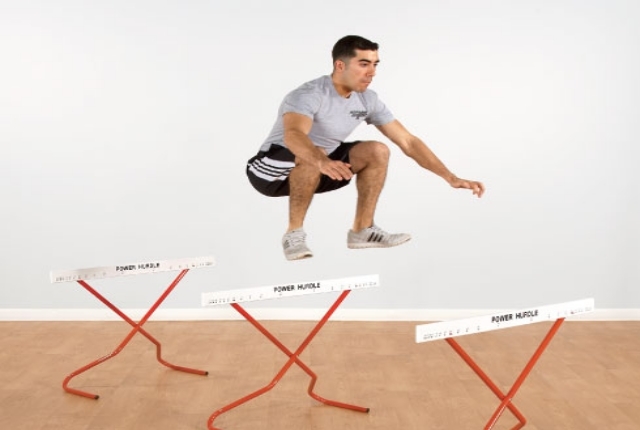 You can then again move the knees forward, just as you would step a hurdle. You can get back on your foot on the ground. You need to repeat this same movement with the right leg. You can again shift sides, as you lift the knees a little higher with every repetition. This is an effective exercise which helps in building power to the gracilis muscles. Start in a comfortable position, as you keep your feet facing a bit forward. You will slowly raise the right leg and to your side. You will then get it back to the center and keep swinging the leg, just beyond the center. You will move it across your left leg. You can swing your legs at least 12 times. Switch sides and then repeat. If you wish to make the workout a bit more challenging, you need to add some ankle weight. You can also use resistance bands for the purpose. You can do this workout on a weight machine which is designed especially for the purpose. This machine has a reclined chair and also two platforms which are padded. This shall offer complete protection to your legs when they are attached to weight. You will be setting the platform at a specific width. You can sit on this chair and then place your legs on them. You will keep your toes pointed a little upward. You need to hold on to the sides of this chair, which will help in keeping your torso secure. You will slowly press the platform a bit together and in front of the body. It shall help in lifting the weight. You should be able to spread your legs a bit back and then you can lower the weight. Repeat the movement. This is a powerful exercise which successful builds the gracilis muscles and adds power and strength to them. Start the exercise by lying down, as you keep your face up on the ground. You need to tilt the pelvis muscles a bit, so that your lower back is well supported and you do not injure yourself. At this time, you shall place the hands just under the tailbone. Now, extend the legs up in the air. Now, slowly open the legs out towards the sides. You will be forming a V shape with the legs. You can pause and then again bring the legs together with a little back. You need to do this opening as well as closing at least 12 times. Include this routine at least three times in a week.